Be honest, do you always bet the same amount in every situation in poker? Or do you adjust your bet sizes according to stuff like the player you are up against, what you think he has, what you have, the community cards and the game flow? If you said the latter, congrats, you are doing it right. If the former, then you need to read on in this article. In No Limit Hold'em we can of course bet whatever amount we want in any situation. There is no "standard" bet sizing. The best players are always getting creative with their bet sizes in order to achieve whatever end they want be it a call, a fold or even to induce a raise. 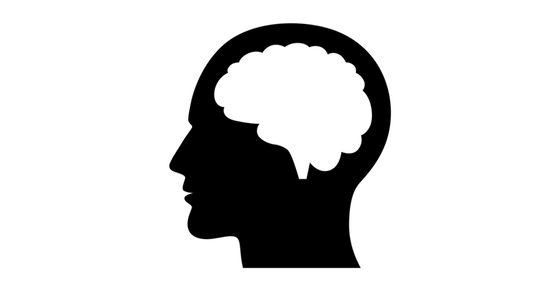 In this article I am going to discuss the top 5 psychological strategies that I use when designing my bet sizes in order to get my opponents to take the action that I want them to. Preflop 3Bet sizing is the perfect place to start because I am always mixing up my bet sizing in this situation. Because when I am going to be in position after the flop I absolutely don't mind getting action. In fact I am inviting them in a sense to come join me with a price of only 3 times their raise. But when I will be out of position after the flop (i.e. I am in the blinds), then I know that I will be at a significant disadvantage on all streets and it will be much harder for me to win the hand. This is why I choose to "raise my prices" if you will to 4x their raise. I want them to think a little bit harder about whether or not to call me. Basically what I am doing here is using my bet sizing to try and manipulate the response that I get from my opponents. When I am in an advantageous position and don't mind a call, then I will make it less. However, when the odds are stacked against me and I would prefer a fold, then I will charge them more to get involved with me. This is also a useful strategy to use against short stacks in preflop situations. Again, this is No Limit Hold'em - there are no rules. So I might make my 3Bet as little as 2.5 times their raise or even just double if I want action. And maybe I only need to make it 3x in order to discourage them from calling due to their stack size. In a live deep stacked game with tons of loose players I might do just the opposite and make my 3Bets 5x, 6x or more if they seem to be calling me with any two cards. The bottom line is always be thinking about what you want your opponent(s) to do when making your preflop 3Bet sizing. Adjust upwards or downwards depending on the player and the desired outcome. 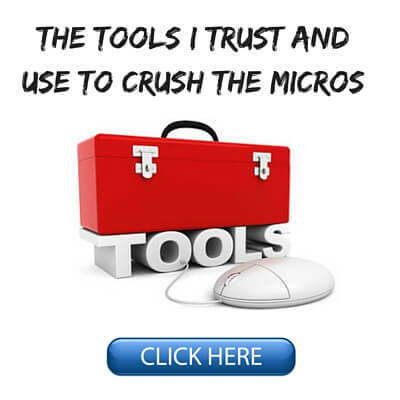 As I also talk about in Crushing the Microstakes I am constantly using mental trickery versus the bad poker players in order to get them to do what I want. In fact there is an entire section near the end of the book entitled "Fish Psychology." In that section I talk about how recreational poker players interpret nearly everything backwards in poker. This is in fact a big reason why they lose so much. And one of the biggest mistakes that they make is viewing big bet sizes as a bluff. In their mind they see a big bet as somebody who doesn't want action. Somebody who is trying to "bully" them out of the pot. Ya, I bet big against them with the nuts and let them call my "bluff." This works especially well when you already have the fish all worked up because you have been isolating the crap out of them and taking down pots. If you read this blog a lot, then you will know that this is something that I am always suggesting that you do. So when I finally make a good hand such as top pair good kicker (it doesn't actually have to be the nuts) I will often just pot it or even over-bet on all 3 streets postflop. Once again this is only against the fish and usually only when I have them all rattled and annoyed with me already. Often in a spot like this, if they have any piece of the board at all they will snap call me down for their entire stack. 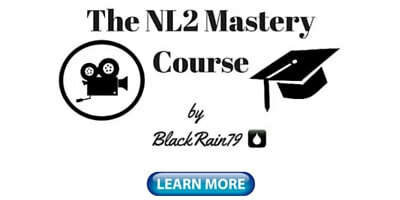 In my recent NL2 Mastery Course video series I showed this numerous times. 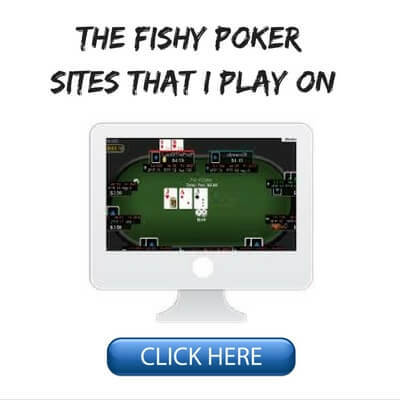 I stacked fish again and again by simply getting on their nerves, finally making a big hand and then betting like a lunatic with it. I got called by all sorts of crazy hands just because they thought I was bluffing with my big bet sizes. The bottom line is understand how your opponent interprets your bet sizing and then do the exact opposite. Now of course the problem with good players is that you usually can't get away with these kinds of wacky over-bets and inducing a raise which I will talk about in point #4 below. They are too good for that and will see right through your little ruse. So with good regulars (note: NOT bad regulars) I will often keep my bet sizing uniform throughout the hand. This is sometimes referred to as game theory optimal or GTO. So for instance I will typically bet 60% of the pot on the flop no matter what I have and make it 70% of the pot on the turn and river once again whether I have the nuts, middle pair or a complete bluff. I do this in order to keep them from ever knowing what I have according to my bet sizing. When I am always betting the exact same amount no matter what I have (nuts, mediocre hand or air), then they can never know which one I will show up with this time. Therefore, they can never devise a counter-strategy to exploit me. They will always be playing the guessing game. Once again, I only do this against the good regulars at the micros and there aren't too many of them at the lower stakes anyways. Against the bad regulars and definitely the fish, you should be adjusting your bet sizing in all situations in order to exploit their weaknesses to the fullest and make them dance to your tune. Sometimes in poker when I have a good hand I want to try and induce them to raise me. So versus the bad regulars in particular I will often use an under-betting strategy in order to try and make them do just this. As I discussed above in point #2 it is important to understand your opponent and more specifically how they will interpret your bet sizings. As mentioned, fish will typically view big bets as a bluff. Bad regulars though will often see them as strong. Or even if they are suspicious, they will at least have the discipline not to hero call you with something silly like the fish will. On the other hand though, bad regs will also often view small bets as a sign of weakness. They will therefore sometimes raise either as a bluff or even thinking that it is for value. So when I make a strong hand versus a bad regular I like to mix in some undersized postflop bet sizings such as 30% of the pot or 40% of the pot. If nothing else I just want to get in their head and make them ask themselves what in the heck am I doing. The bomb the pot strategy doesn't really work against the bad regulars like it does against the fish so it is important to devise other methods in order to get them to flip out and do something silly. Try mixing in some small bets with really strong hands (and even bluffs on occasion too) just to get them thinking if nothing else. If they are spewy aggro bad regs try mixing in some check-raises as well. Something that I also talked about at length in my recent NL2 Mastery Course video series was making bet sizes on the river according to the strength of your opponents hand. By the river we always have the most information on our opponent's likely range. If you are good at hand reading then you should be able to narrow it down to a few specific hands in particular. 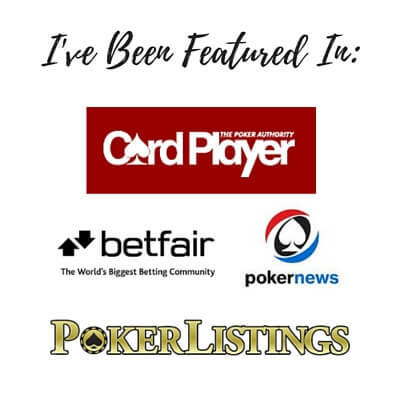 Often by our opponent's actions preflop, on the flop, on the turn and even on the river if they act first, it is very easy to tell what type of hand they have. If they are acting meekly on the two boards above and clearly just want to get to a showdown then betting big is not going to accomplish a lot regardless of the player type. On the first board they will often have a hand like a mid pair or even just ace high. On the second board they might have middle pair, top pair or a small overpair. None of these hands can call a big bet so it would be a huge mistake to bomb the pot here (assuming that you are betting for value). So this is why I will often go for the 30% of the pot "best price in town" bet sizing in a spot like this. They are dying to know what I have and for this price they often cannot say no. This works especially well against the recreational players because we all know how much they love to call. Conversely, if you are bluffing on one of these boards, then this is a good spot to indeed go for a big bet. Although I would definitely caution against doing this against fish for the exact same reason. 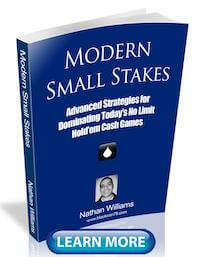 Bet sizing is a key component of No Limit Hold'em that many people do not use to it's maximum potential. 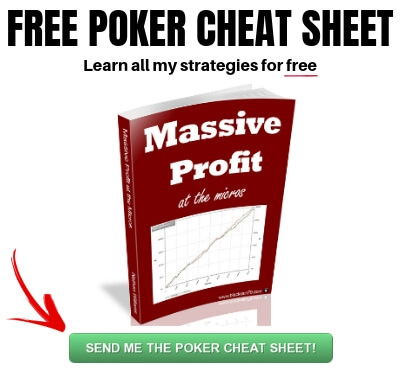 You should always be using your bet sizing as a weapon at the poker tables in order to get your opponents to take the actions that you want them to take. The actual bet sizing that you should use depends a lot on the player type, the board, your hand, their likely hand and even the stack sizes. Hopefully some of the tips in this article will at the very least get you thinking about some ways to use creative bet sizing in order to outwit your opponents and ultimately increase your winrate. 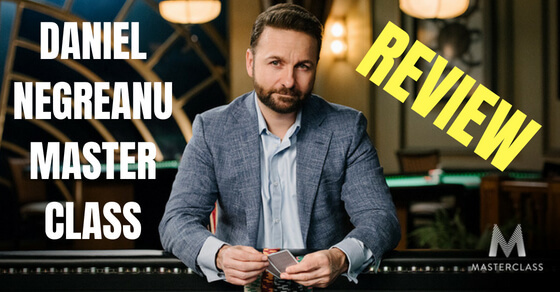 Let me know in the comments below the psychological bet sizing strategies that you use at the poker tables. I have been working on this on my "side" account at Bovada. The other day Bovada gave me a $10 bonus, my account balance was zero and had been for a couple of years. I have been doing some of the things from this article on Bovada's 2/5 cent 6 seat Zoom tables. I start out very TAG until I have some wiggle room and then loosen up with suited connectors and weaker royalty and pairs. I also steal relentlessly all the time. Over the 2K hands since the $10 bonus my balance went as low as $4 and now at $51. I play about 200 to 300 hands per session, 2 tables side by side. 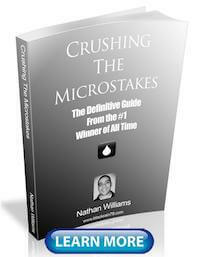 Your book and blog have been like having a older smarter brother to "think tank" with. Take care and I hope all is well and good for you and yours. Good job Lonnie and I am glad that my articles and book have helped! Nice article Nathan and indeed a very important topic, been experimenting with different bet sizing and you're right that fish just love to call big bets. On another topic, when are you releasing the next video series? Best of lucks, take care! Thanks Jorge! Can't say for sure on the next video series. Hopefully by the end of the year though. This concern of mine might be slithly off-topic here, but since you mention it here, I wonder if cbetting the flop nearly 100% of the time really is profitable. The regs realize this and will call you all the time. If on the Turn you still have nothing, you may want to slow down, they bet instead and what do you do? Calling with my high aces here resulted in losing to a KTo who flopped a T or have an itty bitty pocket pair. What would help? Never fold a pocket pair of the flop and bet the turn in position? Hey Sven, I definitely do not suggest CBetting at 100% especially as you move up the stakes. You will be exploited bad. I would also not suggest calling the turn with ace high when they float very often. Usually just fold, maybe bluff/raise sometimes. Sorry, I have misread your text. It says cbet about 60% of the time... That is basically consistent with what you say in MSS. Btw, I'm still playing NL2, but I'm trying to outplay the regs before moving up to NL5. I have good winrates if I surf the tables and play only against the fish, but feel like I should be ready for the scarcity of fish at NL5, so why not try to deal with the NL2 regs first.